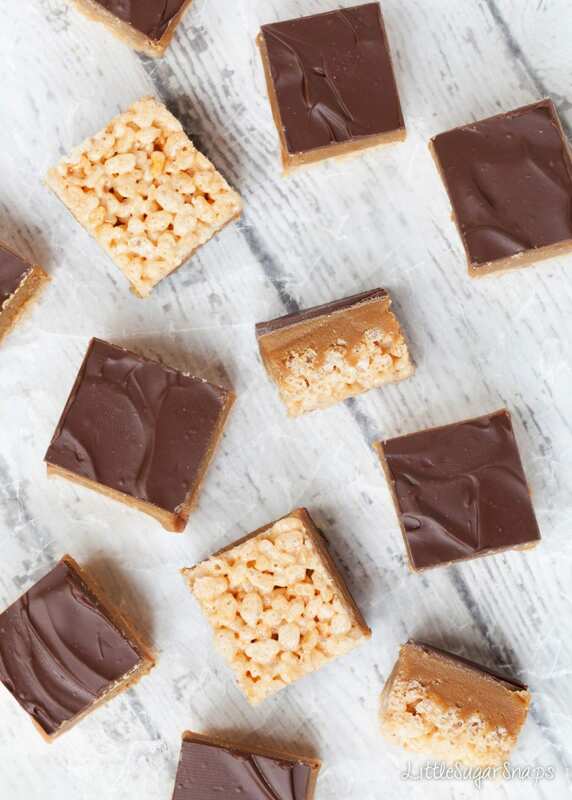 Millionaire’s Caramel Krispie Squares are a no-bake twist on classic Millionaire’s Shortbread: layers of marshmallow rice krispie treats, thick caramel and milk chocolate. Stacked up, that’s a real treat. This week I have a child-teen-adult-everybody friendly treat to share with you. Chocolate. Caramel. Marshmallow. 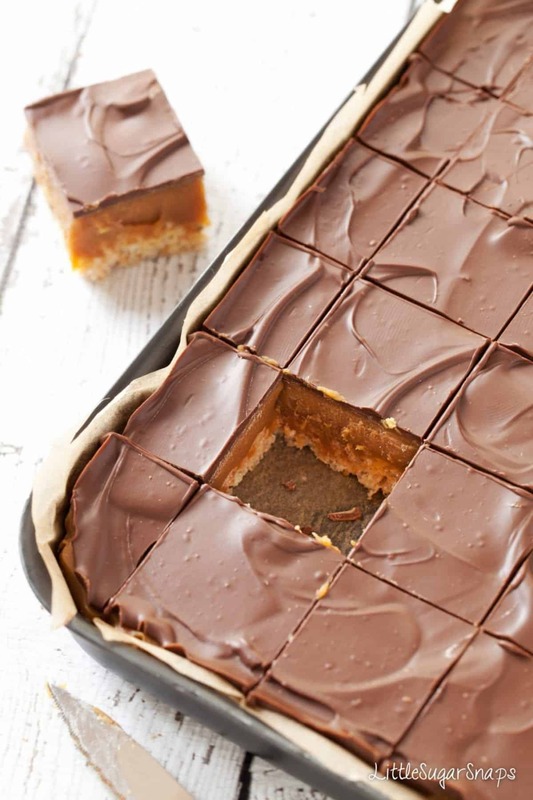 I’ve paired all of these goodies with some Rice Krispies to give you a twist on Millionaire’s shortbread. And yes, these Millionaire’s Caramel Krispie Squares are as sweet and indulgent as the ingredients suggest. Um… exactly how good are all of those individual components sounding right now? 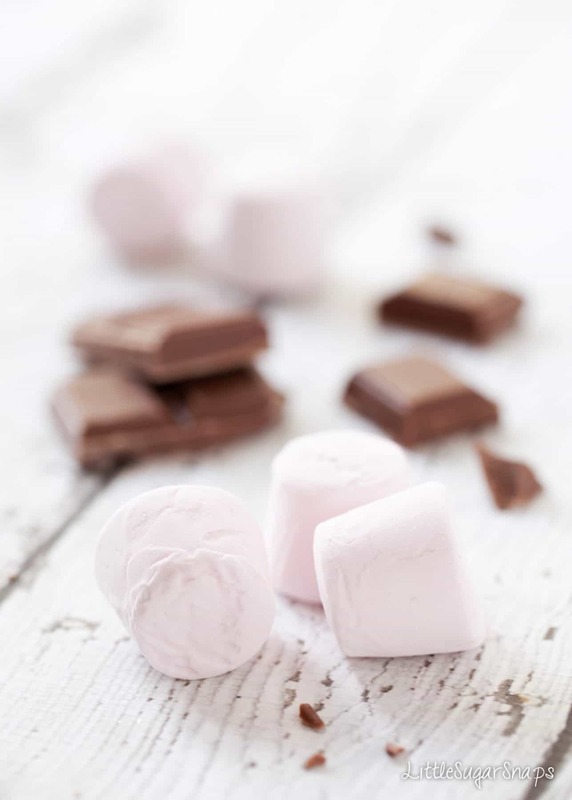 Recently, I’ve taken to purchasing 1kg bags of chocolate to use for my baking – that way I can ensure I get quality chocolate at a sensible price. However, once you have stacked them all up and cut not so dainty squares, they are even better – an absolute winner, in-fact. I love the thick layer of caramel, which is a prized flavour in our house. I also adore the switch from crumbly biscuit to the chewy textured cereal layer and – bonus – no crumbs. 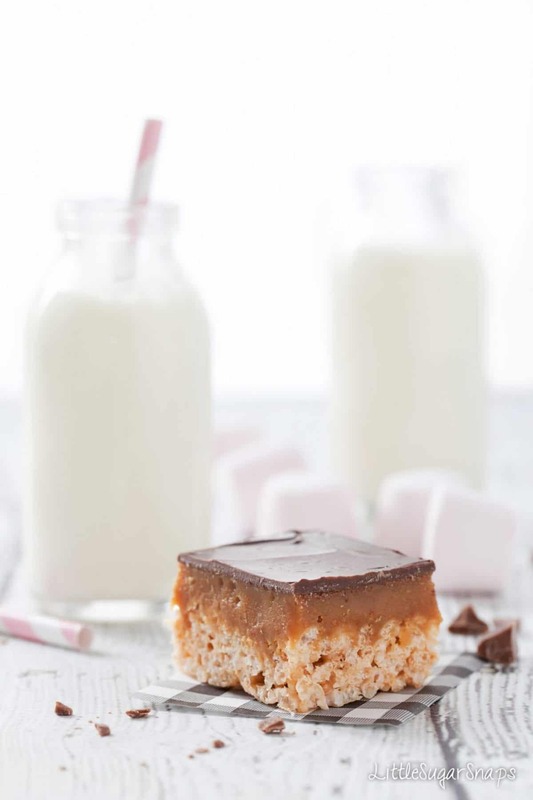 Served in small portions, these Millionaire’s Caramel Krispie Squares make a pleasing change for anybody less keen on the usual treats at this time of year. Talking of Easter delicacies, I for one love the kind of Easter food that floats around the UK. Again, nothing out of the ordinary, just spice and fruit packed Hot Cross Buns and Simnel cake. I also have a deep-rooted love for Cadbury’s Mini Eggs, as they remind me of my Gran. She could eat them by the handful. So can I. 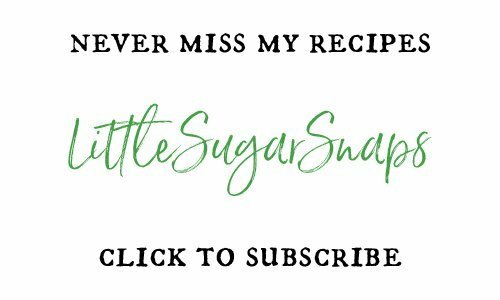 Leaving aside my Millionaire’s Caramel Krispie Squares and all the other more obvious festive bakes, today I came across a recipe that I can’t resist sharing with you. It sounds so fantastically original. If, like me, you’re more than vaguely excited by the idea of apples, pomegranate, red wine, cinnamon, dried fruits and saffron all combined, head over to The Gluten Free Canteen for some extraordinary muffins made with Charoset. I’d not heard of Charoset before today. Apparently, it’s a food traditionally eaten at the Passover Seder. And there we have it – my take on Easter: spice, dried fruits and, for when you’ve had enough of that, anything vaguely chocolate based, especially these Millionaire’s Caramel Krispie Squares or a stash of Mini Eggs. If you’ve enjoyed this post, please share it – you would make me very happy. You can also follow along to get notified of my future blog posts by email. Finally, melt the chocolate and spread over the caramel layer. 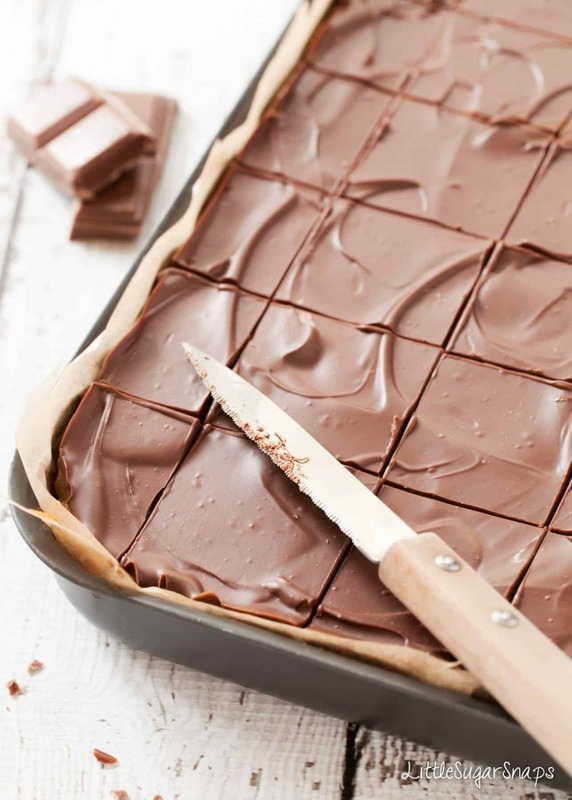 Allow to cool and set before cutting into squares (tip: if you can be patient, using a warm knife to score through the chocolate helps to stop the chocolate cracking in all directions and gives you neater squares). These look so so good. I wish we could find rice krispies here too. Until then, I can only admire and imagine the richness of these treats. 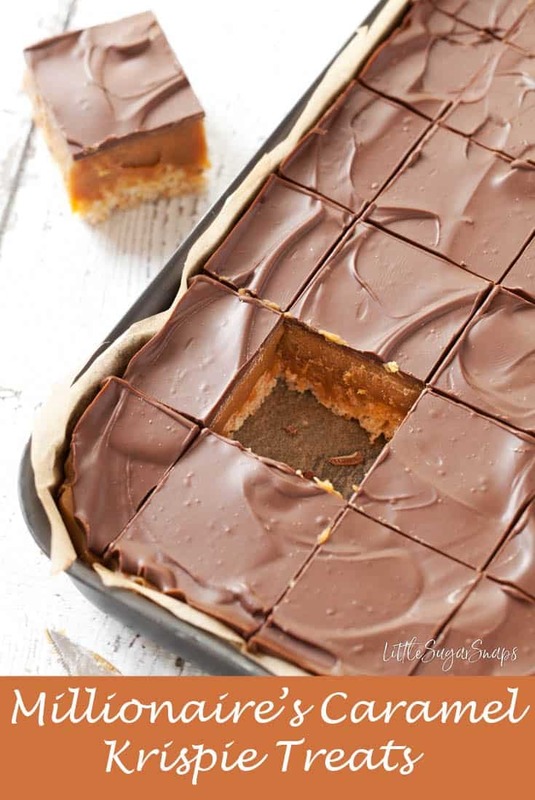 That caramel layer is seriously making me drool.. these krispie squares look VERY delicious. These look delicious – such a tasty way to spruce up traditional Rice Krispies treats! I’ll have to keep these in mind the next time I’m running short on time before a potluck! What is golden syrup? Karo? Hi Bridget. 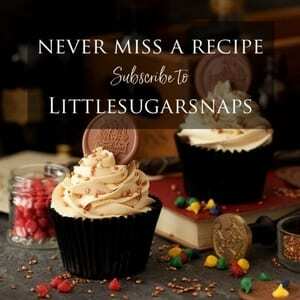 Golden syrup is alternatively known as light treacle (or the amber coloured form of inverted sugar syrup. If you can’t get hold of it where you are, you might try dark corn syrup (Karo or another brand) or a a variety of syrup that is a combination of corn and invert sugars. Hope this helps. These look amazing. Love your photos! 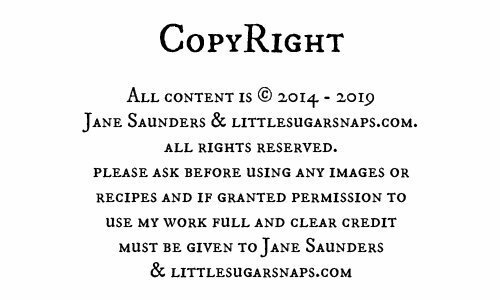 I will pin these to make later and will be sharing on my Facebook page! Came by from the Saucy Saturday link party. Thankyou Margaret.So pleased they hit the spot with you. oh my gosh, I love this idea! Two of the best treats in one, gotta try these! Pinning and sharing for sure! Hi there Michelle. Pleased you like them. I love millionaire shortbread! It’s a staple at our service league meetings! A girl that comes always puts espresso in hers! I have never tried them with rice krispies! What a great way to add more texture! Thanks for linking up to #SaucySaturdays! I drool every time I see your recipes! Thanks Jennifer, for your kind comments. I’m intrigued by the espresso addition – may have to google that and try it out. Is it sweetened condensed milk, or plain condensed milk? Hey Dan. That would be sweetened condensed milk. Thanks for stopping by. I don’t know how I missed these until now. You are making it hard for me to stick to my healthy plan for 2016. Also just wanted to say REALLY nice number of pins on this. Mad props! Thanks Christine. 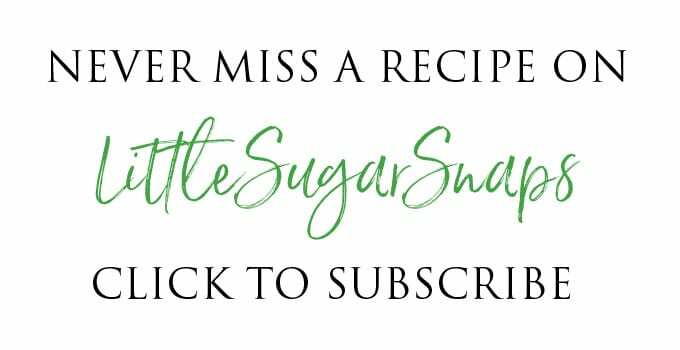 I always have good intentions that tend to fade, without fail, after the first week of January 🙂 I could never go sugar free! 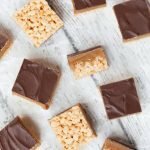 I love krispie treats, and you raised the bar with this recipe! They would be perfect for any occasion. Oh my goodness, Jane, these look seriously amazing. I mean, caramel, chocolate and rice krispies?? So many amazing things together, I love it! haha. After midnight is not a place I go too often – maybe that’s for the best. Millionaire Bars are kind of amazing but to add them to the already perfect Rice Krispie Treat> Double wow!! Pinning for summer treats with the kids! Ah, thanks so much, Jennifer. Ah, thanks now Sandi. You may be overjoyed to find out that today I’ve been working up a nifty variation on this recipe. Oh my that caramel layer looks incredible. So thick and gooey!! I’d love to make these to take to a friend’s birthday party, I reckon they’ll go down a treat so I’ve pinned this. Can i just check; what size and depth of tin did you use please? Hi Mel, I’m so pleased you like this. The quantities listed are sufficient to fill a 9 inch/ 23cm square tin. A tin at least 1.5 inches/ 4 cm deep should be fine.